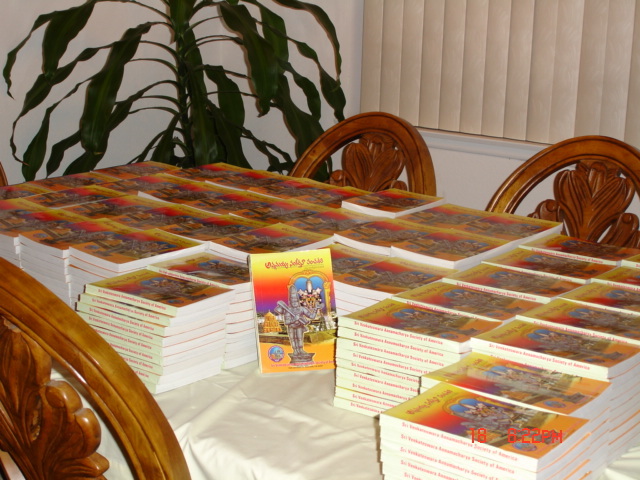 This new book containing a collection of lyrics for 500 popular Sankeerthanas of Annamacharya was released first time for the devotees in US on 25 March 2006 during the 503rd Vardhanthi Commemoration of Sri Tallapaka Annamacharya. Devotees will receive this Book as a token of appreciation for their donations. Donations may be made to "Sri Venkateswara Annamacharya Society of America" or "SVASA"
Visit our booth at the 9th ATA Conference in Long Beach, CA during 30 June-2 July 2006 for the books.